Today we attended The Big Sing for Mental Health in St. Mary’s College, Arklow. This was in celebration of World Mental Health Day. We are beyond proud of our students. They sang beautifully, Aaron and Joseph played wonderfully. Their behaviour wasexcellent and they all looked so smart! I am very grateful to Ms. níShuilleabháin and Ms. Byrne for all the work and to Ms. McDevittand Mr. Breen for their help. Enjoy! 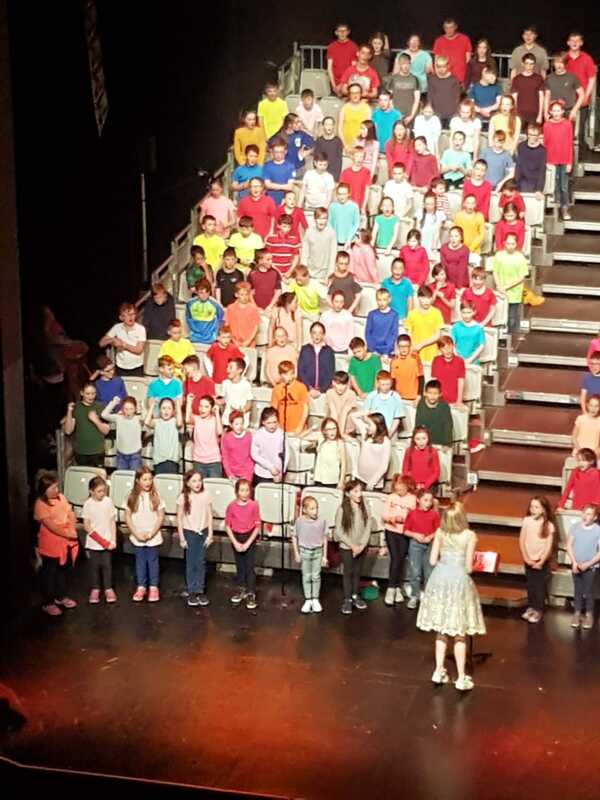 We had a fantastic experience once again at Sing Out Loud on Thursday 22nd November in Wexford Opera House! 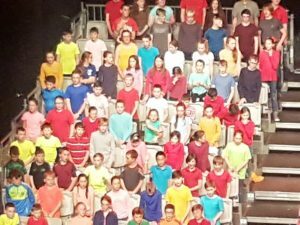 3rd-6th class performed in front of a full house. Many thanks to their teachers for teaching them such an extensive repertoire. 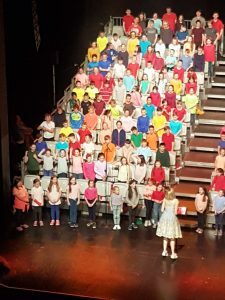 Thanks to the organisers of Sing out Loud for another enjoyable year! Our next musical venture will be our Christmas concert on December 19th!